My name is Jay Arapi. I remember being on that Boeing 747 of an AlItalia flight. My ears ringing, my legs shaking and butterflies in my stomach because of the jet. After a few bumps and shakes, we landed at the John F. Kennedy Airport and people started to clap. I had no idea why people were clapping but I had seen it happen in movies so I just joined. A few minutes went by and we were told it was okay to exit the plane. Following my father who was leading in the front, I looked back at my mother carrying my baby brother in her arms while pulling a suitcase filled with our belongings and memories of our previous life. I was excited but also scared of what was waiting for us in this new country. Soon after, we went into an immigration office where our fingerprints and paperwork were processed. It had been an hour or two since we entered that room when they told us it was okay to exit the airport and enter the new country. As we exited the airport, my mother’s cousin was there to pick us up. We went into his car and he took us to our “new home.” Looking outside the car window, I felt like I was in a strange world. I was full of questions and full of curiosity to explore the new world. Fear was holding me back a little but the curiosity soon took over and I was glad to explore this great country. A cramped little apartment not even close to being big enough for a family of four people. It consisted of one little bathroom, an old worn out kitchen, a bedroom and a little extra space just enough to fit two single beds for my brother and I to sleep. My mom’s cousin had ordered us pizza and coke. Now, in the middle of summer on a super hot day, the temperature in the Bronx can reach to 100+ degrees Fahrenheit so what we needed was something cold to drink. Coming from a 12 hour plane flight, we looked at the hot pizza with disgust and felt sick to our stomachs. I realized that food was never going to be the same for us again because we were so far away from home and it made me a little sad and homesick. Then suddenly I remembered all of these exotic foods that I had seen and heard that were in the United States and it made me excited again. For at least the first 3 days of being in New York the whole family just slept. When you mix jet lag, depression, nostalgia and fear, it can take a huge toll on people and it caused us to do nothing but sleep. It left us without any power or will to try to do anything. Also the time zone change made it even worse, it took us a whole week to adjust to this timezone. The heat was getting to us too, we came from a hot climate but not this hot. After the family started to adjust to this new lifestyle a little, the next step was to find jobs. My mother had to raise my little brother and me, so the only person who could work was my father. It took some months before he found a laborious construction job where he was used like a dog but he did it for his family. It’s ironic actually, he had given up a great job of being a businessman in Albania just to come to the United States and work like an animal. Somehow that was going to secure a better future for his family? He went through all that labor though and it was only just for us. Before I even realized it, summer was over and now came the time to attend school. 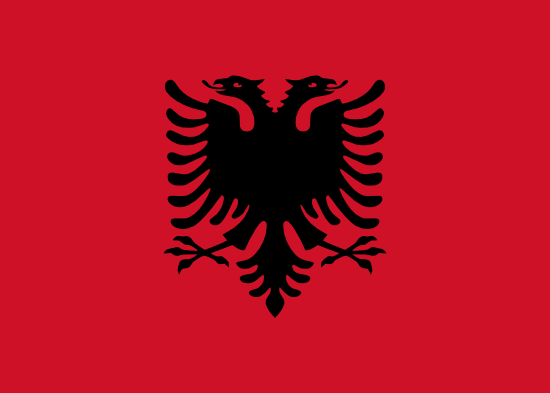 My test scores from Albania allowed me to skip from fourth to fifth grade directly, but my father did not allow it. He said that my past learning experience was going to interfere with my new education, he said it was for the best. So my parents registered me and the first day of school came. I remember looking around and not understanding what anybody was saying and turning around to my father giving him a hug as tears ran through my eyes when they called us in. School was very hard at first, only because of the fact that I could not speak English. In school everyone wanted to be my friend. I was the cool kid who could not speak English too well, the kid with an accent and the kid who was from a different continent. Within three months I went from speaking no English whatsoever, to having full conversations with people. Yea, you could say things were getting better for me. Our family was adjusting to this new place and making the most of it. If only we knew what was waiting for us in the future before we got to the state of being we are right now then we probably would have been scared out of our minds. I look back at that AlItalia flight and remember the fear and excitement that was going through my mind about coming to this country. Those are the two best feelings to have everyday because they can change the way you look at life.